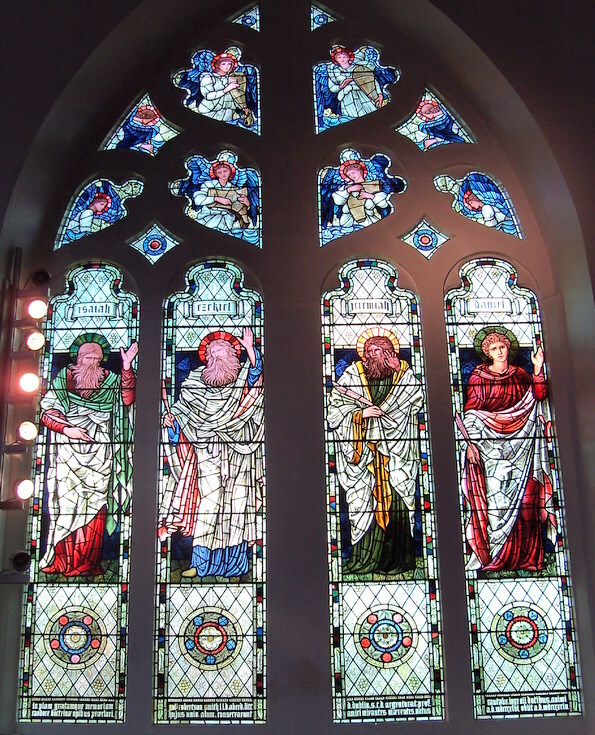 A beautiful stained glass window in King's College, Aberdeen, dedicated to the memory of William Robertson Smith. "In pious and grateful memory of William Robertson Smith, Doctor of Laws at Aberdeen, Doctor of Letters at Dublin, Doctor of Theology at Strasburg, Professor at Cambridge, illustrious for his mental endowments, candour of mind and wealth of learning, alumnus of this university, these windows have been consecrated by his mourning but admiring friends. Born 1846; died 1894."